No one ever says "Let's see what's on Google" the way they might say "Let's see what's on Facebook" when they turn on their phones or computers. 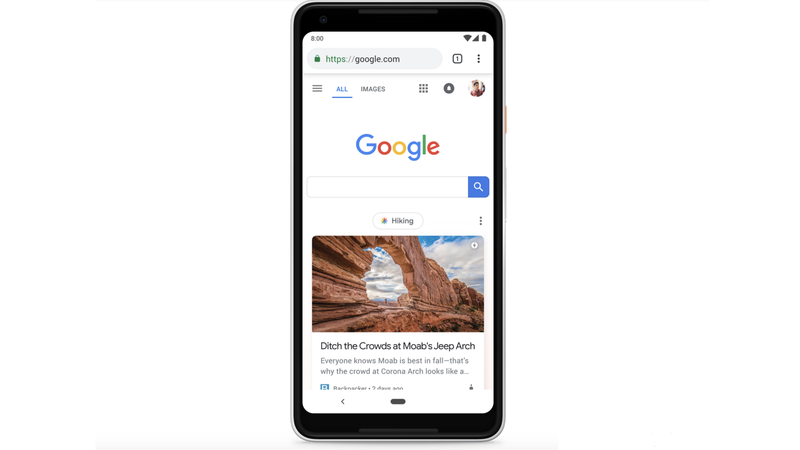 The search giant is hoping to change that, with the announcement Monday that it will offer a personalized feed of stories, items and links on the Google search home page on all mobile browsers. The details: The new service, Google Discover, has been gestating under the name Google Feed. Before that, it was a part of the now-defunct Google Now. It already has 800 million monthly users, according to Google. The background: On a web that was overloading pages with attention-grabbing junk and ads even in 1998, when Google was born, the search engine made a name for itself with its pristine screen: A colorful logo, a search box, two buttons, and the vastness of global knowledge just beyond. But over the next decade, "enter search term and click through" lost out to a different model of online interaction — the stream. Pioneered by blogs and universalized by Facebook and Twitter, streams emphasized what was new and, later, what an algorithm calculated that you wanted to see. What they know: Google certainly has plenty of information to drive Discover's choices. Particularly for users of Gmail, Google Calendar, and Google Docs, Google probably knows more about you as an individual than Facebook does. Facebook knows who you know and what you share with them. Google knows what you know, what you're doing, and what you're learning about.